Edward cried poor even before abdicating since he never got a share in his father's £3 million fortune. However, it was found out that he intentionally minimized his assets to £90,000 to get a better deal from his brother. It didn’t take the new king too long to find out that the Duke had salted away over £1 million worth of savings from the income of the Duchy of Cornwall, money which, according to royal biographer Sarah Bradford, should have reverted back to the royal coffers. George VI had hoped that the Government might cover the expenses of the ex-King. Stanley Baldwin and the Chancellor of the Exchequer, however, did not want to draw the ire of the Labour Party with regards to financing the ex-King. Thus, the responsibility totally fell on the lap of the new king. He reluctantly agreed, not to mention that he also had to buy out his brother’s interest in the Balmoral and Sandringham estates, which were Edward’s personal property and not the Sovereign's possessions. After much argument, the estate’s valuation was settled at £289,853. The amount was invested in War Bonds. The income of £10,144 a year was paid to the Duke tax-free. The King topped up £11,000 annually on the amount to cease on his death. 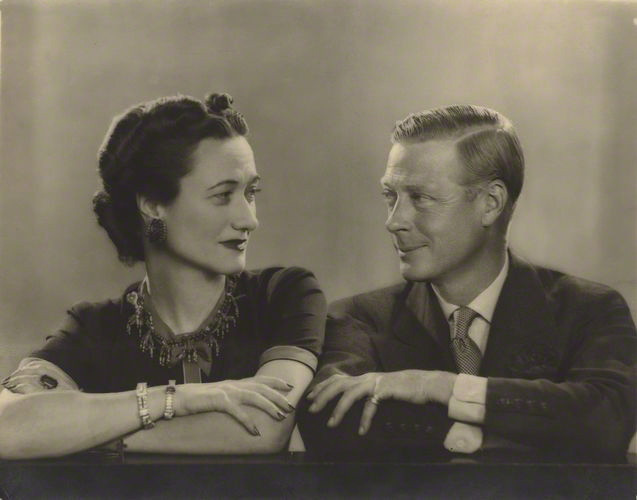 After his abdication, Edward married Wallis and lived in exile, mainly in Paris. They made a tactless trip to Germany where they were guests to Adolph Hitler. 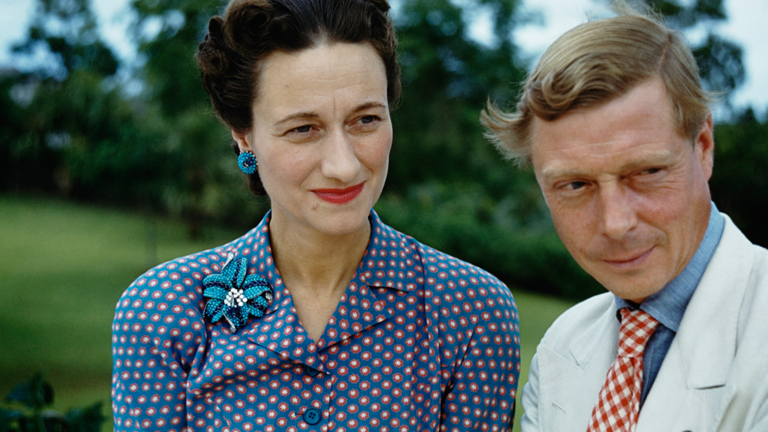 During World War II they were sent to the Bahamas where the Duke served as governor-general. After that the couple permanently settled in Paris, where the French government offered them the three-story villa in along Bois de Bolougne, later known as Villa Windsor, for a peppercorn rent. The couple also purchased a weekend retreat, Le Moulin de Tuileries, some 30 minutes away from Paris. A few years before the Duke’s death, he asked her niece, Queen Elizabeth II, to continue paying the rent on his life in Balmoral and Sandringham to Wallis Simpson. The Queen decided to give her a “voluntary allowance” of £5,000 per annum upon the Duke’s death. He died in 1972. 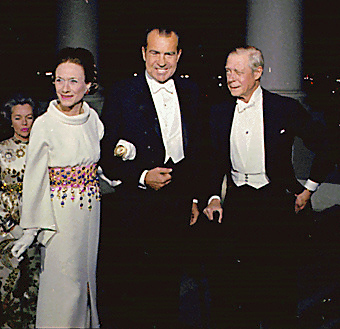 The Duke and Duchess of Windsor with U.S, President Richard Nixon. The Duchess herself was already a wealthy woman. After the Duke's death her liquid assets were roughly worth £3 million and she had millions more kept in her fabulous jewelry collection, artworks, furniture and object. In fact, Sotheby’s fetched over $50 million when her jewelry and objects belonging to the Duke were put in auction in 1987.
conquers so many of us. Go to this private page right now.